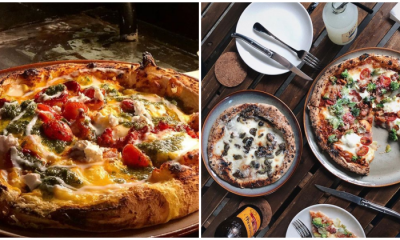 5 Hidden Makan Places in Penang Only Your Local Friends Will Know About! There is absolutely no better way to discover a new place than through its food, especially when you’re visiting Penang (obviously, right?). But as a tourist, chances are you’ll only know about the tourist-traps in glossy brochures to refer to. 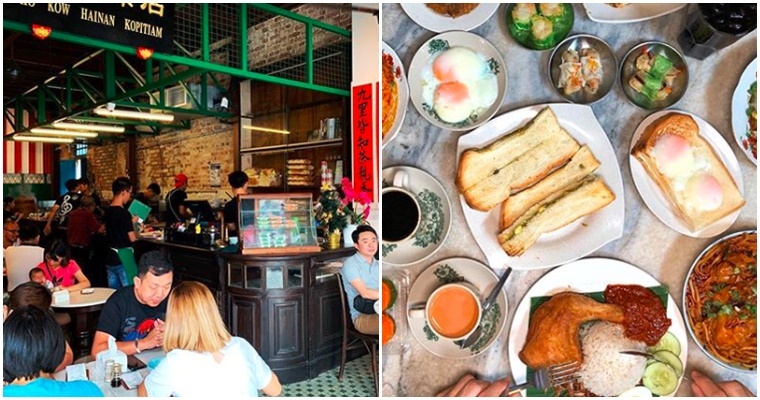 So prepare yourself with our handy cheat sheet to the food places only your Penangite friends will know about! This list is in no specific order. Char kway teow is without contest, the very face of Penangite cuisine if you ask any Malaysian. So much so that it is often used as a benchmark by which the char kway teow from other states are measured by. In which case, Ping Hooi Coffee Shop’s char kway teow, located along Carnarvon Street, counts itself as one of the best in Penang. Flat rice noodles like what you see in Vietnamese pho are wok-fried golden brown, along with crisp beansprouts, fresh prawns, cockles, and eggs. The end result is c’est magnifique! Signature char kway teow is a must-try; patience is key as food is served on a first-come-first-served basis. Seats are incredibly scarce, so if you can’t find any, feel free to tapau (take-away) your food. Asam Laksa is also another staple of the Penang food scene, where thick rice noodles are soaked in a rich, spicy-sour broth and served with mackerel fish. The soup is tamarind-based (asam), which explains its sour flavor. 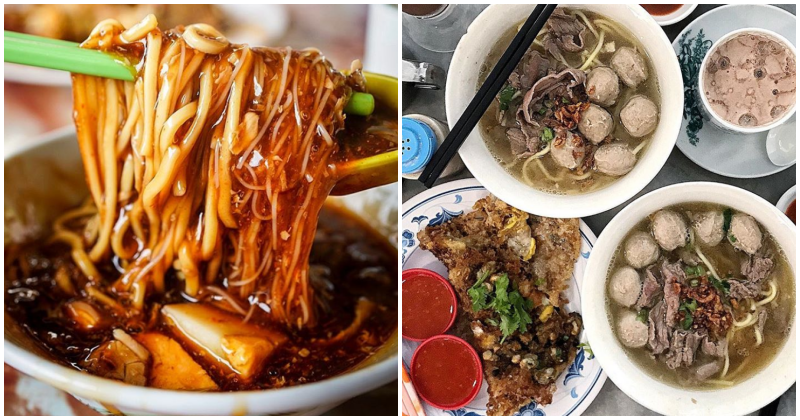 While a good many asam laksa stores can be found in Georgetown, there are some hidden gems to be uncovered in the mainland too. Take Laksa Kelang Lama, for example, located in Bukit Mertajam. Without a doubt, go straight for the laksa, where the fish is grated over the noodles in a fluffy mass and the soup is insanely flavorful. Also order the ais kacang if you need to cool off after an entire bowl of spicy laksa, especially in afternoon heat. 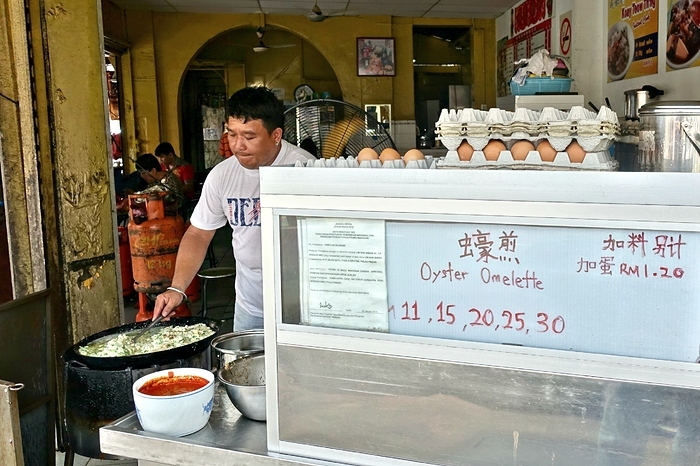 Operating from a completely unassuming coffee shop, Kafe ST Loo hides one of the best oh jian (fried oyster omelette) stalls in Penang. You’d never know it until you smell it, seeing that the stall itself is by no means flashy to begin with. Run by an uncle whose recipe has been serving the area for decades now, this one is a severely underrated staple that true locals will only know about. Oh jian is to die for; crispy, highly fragrant, with plenty of wok hei (wok-smoked flavor) and plump oysters. Offered in 3 sizes; go for the middle portion, as a small single serving will not be enough to sate your appetite! Beef noodles served here are also highly regarded. Rojak, or mixture in Malay, is exactly what it means: a mixture of usually fruits, covered in a thick, dark-coloured sauce. Penang has a version that is specific to the state, but no doubt you would have heard of all the usual rojak suspects in town. But here’s a new one to add to your list: Rojak Orang Hitam Putih located on the mainland. Prices start from RM3 and are capped at RM6; our suggestion is to order RM3 worth of rojak as it’s more than enough to feed 2 people. Also try the popiah that is being served by the same vendor, which promises to not be overshadowed by the stall’s signature dish. No, don’t expect the God of Thunder behind the stove here. 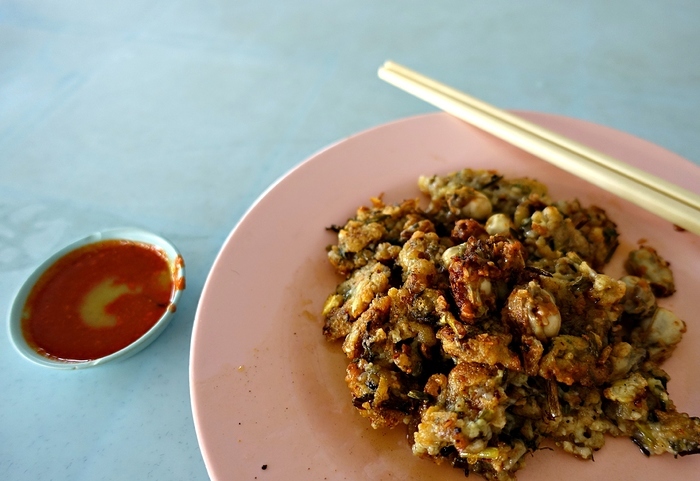 Run by the founder’s son, Seng Thor Coffee Shop’s oh jian (fried oyster omelette) is must-visit for any fans of seafood. 50 years in, and the recipe remains unchanged. Made by frying a mixture of tapioca starch and flour, mixing in eggs, scallions and a secret mix of seasonings, what you get in the end is a crisply fried omelette topped with local baby oysters. 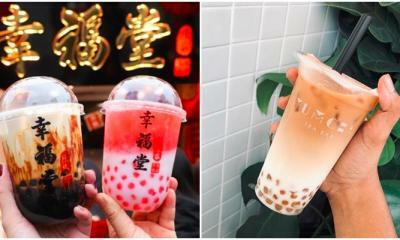 Order a large serving of oh jian to truly satisfy your cravings; single servings are too small! Be patient; the traditional method used in cooking this oh jian requires a little more time than usual. Also try the lor mee, which comes recommended for its gravy. 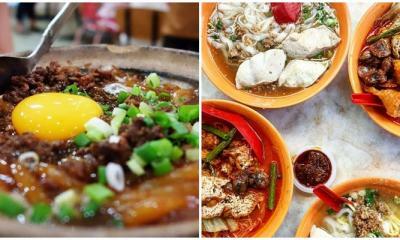 Also read: This KL Kopitiam’s Menu is So Good, It’s Been Around For 60 Years!